Sculptor Matt Weir at the July 21st unveiling. After more than three years of work, Matt Weir’s statue of Colonel William Oldham was unveiled on July 21, 2018. The 7-foot bronze and limestone statue, positioned in front of the Oldham County Courthouse, was introduced to the public as part of Oldham County Day festivities. Wier photographing Will Oldham at Locust Grove. Photo: Brian Bohannon. There were no previous likeness of the Colonel for Weir to use as reference, so musician and songwriter Will Oldham, a descendant of the Colonel, was a crucial participant in the development, posing in a Revolutionary War uniform complete with saber and musket while Weir exhaustively photographed him from every conceivable angle, and allowing a wax casting of his face to be used as reference in the final rendering of the figure. Weir in his studio with Will Oldham. Photo: Elsa Oldham. Unlike so many historical military statues, the uniformed figure is positioned closer to the ground, an accessible monument that reflects the contemporary aesthetic of bringing history into an easier relationship with everyday life. The open right hand fairly invites visitors to grasp it. The installation includes an historical display with details about Colonel Oldham’s life and a plaque listing donors will be mounted on an outside wall of the courthouse. The historical display will also list the names of Revolutionary War soldiers who are likely buried in Oldham County. The statue was cast and fabricated by Falls Art Foundry in the Portland neighborhood of Louisville, which was established by Weir, Tamina Karem, and Scott Boyer in early 2017. Written by Keith Waits. Entire contents copyright © 2018 Louisville Visual Art. All rights reserved. Photos courtesy Matt Weir except where noted. 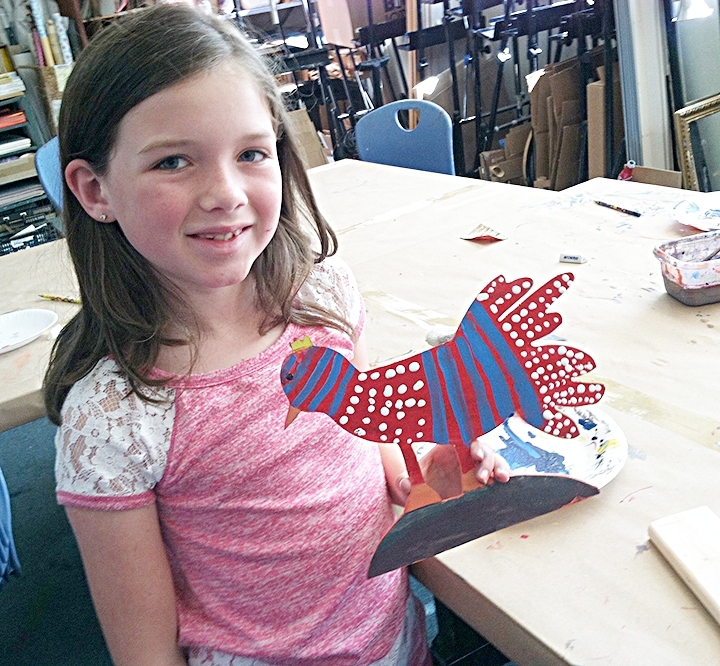 This article is an updated version of material originally published by Arts-Louisville.com in August 2017. Used with permission. In the aftermath of the events in Charlottesville, Virginia, Louisville joined other American communities in the struggle over public monuments honoring Confederate leaders when the statue of General John Breckinridge Castleman near the Cherokee Triangle was vandalized with bright orange paint. Within days Showing Up For Racial Justice organized a passionate but peaceful public demonstration at the location, and Louisville Mayor Greg Fischer issued a statement directing the Commission on Public Art (COPA) to conduct a review of all public statues in the Metro area to determine what issues need to be addressed. It seems a worthwhile and important response to community outcry, but in all of the press generated, there has been very little written about how artists feel about all of this, especially sculptors of public art who are today creating such monuments. Early iteration of Matt Weir’s statue of Colonel William Oldham. Photo by Keith Waits. 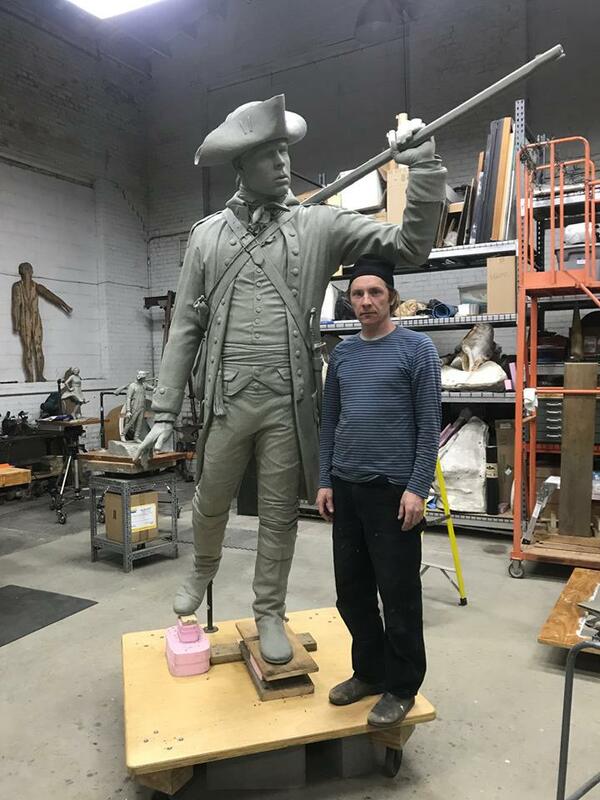 Matt Weir is working to complete a commission for a historical statue in Oldham County that will commemorate Colonel William Oldham, a Revolutionary war figure for whom the county is named. The statue, which will be approximately seven feet tall, is to be installed in front of the LaGrange Library by July 2018. The uniformed figure is captured in a humble posture, rifle resting on his shoulder, and the horse’s bit and bridle dangling from his right hand is a nod to the tradition, missing here by deliberate choice, of showing military figures atop a stallion. When asked about his feelings on the issue, and the Castleman statue in particular, Weir speaks in thoughtful terms that reflect his conflicted feelings: “Some of these pieces that are coming down in Baltimore and Durham, to my eye, looked like beautiful work; examples of important sculptural techniques, and, as an artist, I do feel sad they are disappearing. 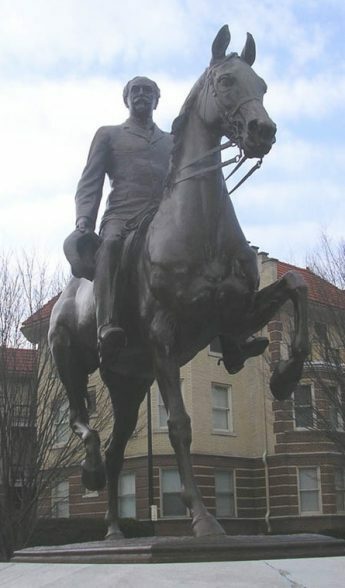 The Castleman statue is, I think, the only horse and rider statue in Louisville, and it’s a landmark that the neighborhood has used for a long time in its branding.” Weir shows me a cup from the Cherokee Triangle Art Fair showing the event logo that incorporates an image of the statue. 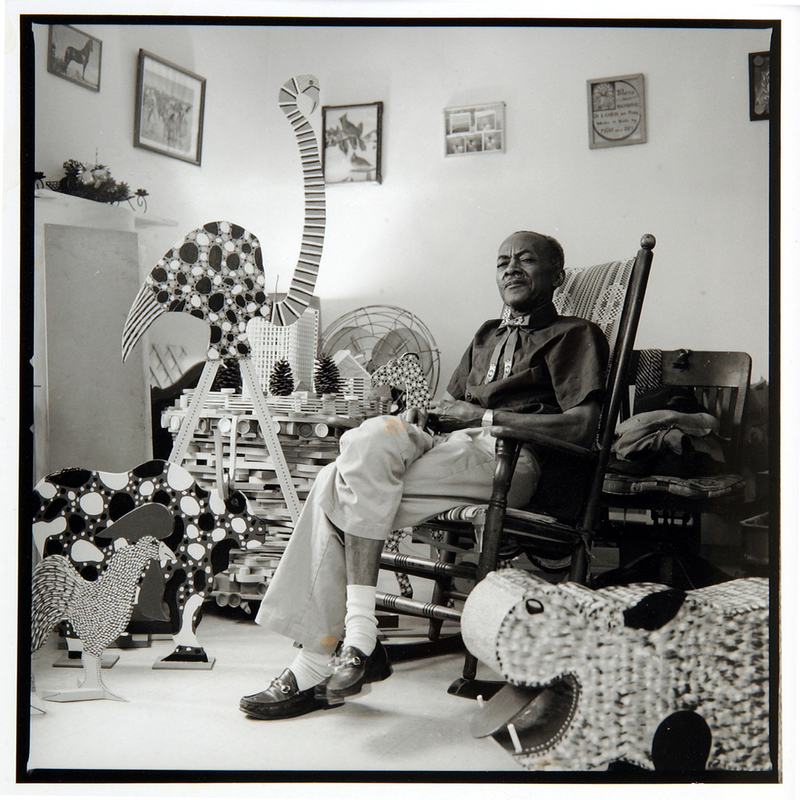 Ed Hamilton at work in his studio. Photo by Sarah Katherine Davis/courtesy of LVA. 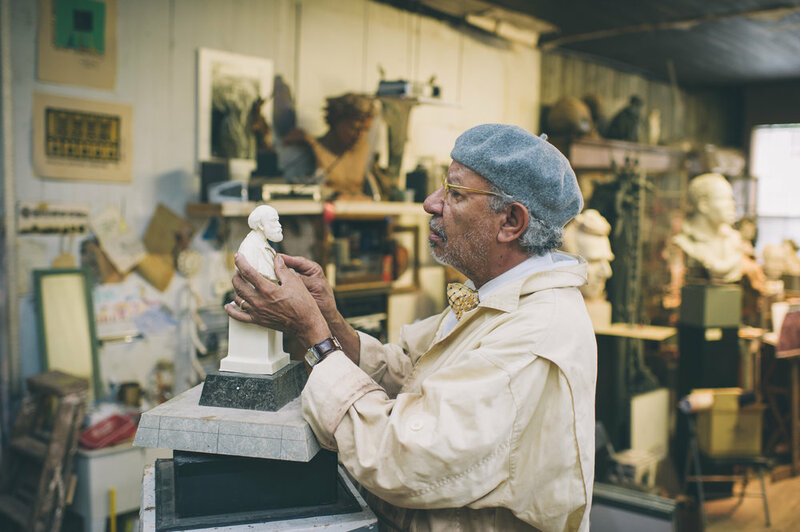 Ed Hamilton has made his reputation as a sculptor of memorial statues, primarily recognizing African American History, and he echoes these thoughts in his own observations: “As an artist, we need to look at work, and I had studied the Castleman statue over the years because it is a gracious, artistically rendered piece. I didn’t even realize for a long time that it was a Confederate officer because he is not wearing a designated uniform. But now I need to rethink the underlying meaning of that statue.” Hamilton’s most recent work, a bust of Underground Railroad conductor George DeBaptiste, was for Madison, Indiana. Among his other monuments are The Spirit of Freedom, a memorial to black Civil War veterans that stands in Washington, DC, as well as monuments dedicated to Booker T. Washington, Joe Louis, York (William Clark’s manservant on the Lewis and Clark Expedition), and the slaves who revolted on the Amistad. Ed Hamilton’s statue of York, who was part of the Lewis & Clark expedition. Hamilton was previously a member of COPA, and he says that the commission expected to follow the process that they took in making a recommendation on the statue at the University of Louisville that was relocated to Brandenburg Kentucky. A series of public meetings were scheduled and the first meeting was held in September, but soon Metro Government and COPA decided to develop a different approach, one which will attempt to establish a contextual foundation for approaching public art and the winds of change. Sarah Lindgren, Public Art Administrator for Metro Government explained the shift in perspective: "We are working on our plans for a community conversation about race and the history of slavery—and how it impacts our world today. The topic of public art and monuments is just one component of a larger plan that Mayor Fischer will be discussing in the near future. The Commission on Public Art began a process of reviewing artwork and monuments in public spaces during a public meeting in September, and that process will continue along with the community conversation." COPA has set up a link for the public to provide comments here. Sarah Lindgren is a government employee, which makes her, almost by definition, a bureaucrat - a terrible word with little positive association. Yet, as Public Art Administrator at Louisville Metro Government, she is the top authority on public art in the city, a job description that sounds anything but monotonous. In conversation, Lindgren speaks of the issues surrounding public art with detail and confidence, but she also effectively illustrates the complexity of the topic. With substantial experience in museum administration with The Speed in Louisville and the St. Louis Art Museum, she clearly has the bona fides for the job. Public Art Administrator is a job that never existed before 2014, a creation of the long in development Louisville Public Art Master, which in turn gave birth to COPA, the Commission On Public Art. Part of Lindgren’s role is to, in effect, head up COPA. But what does a commission on public art do exactly? So COPA is an advisory body making recommendations to Mayor Greg Fischer and the Metro Government on such questions as how to adequately archive and maintain the rich history of public art in the city. How much does the general public know about the significance of sculptures that have been a part of the fabric of the city for generations? How often do you drive past the Daniel Boone statue at the entrance to Cherokee Park with any thought to the fact that it was created by one of the most important women sculptors in the United States, Louisville-born Enid Yandell (1869-1934), who studied with Auguste Rodin? How many of us know with assurance where to find all of the Barney Bright statues in the city? Or works by Ed Hamilton? That archive was one of the first tasks implemented from the Master Plan, with the help of Kristin Gilbert, Lindgren and photographer Luke Seward, who took fresh pictures of many of the pieces. But there also is a need to build consistent public policy towards public art, both old and new. Beneath the Surface by Mary Carothers. Part of the 2015 Connect/Disconnect: A Public Art Experience. River Monument (glomus) by SIMPARCH (Steven Badgett and Matt Lynch). Photo from Develop Louisville. An initiative by local poet and artist Lance Newman to curate a selection of poems by local poets and stamp them in a newly laid concrete sidewalk on 4th Street, between Chestnut and Broadway. The poems are intended to be love letters to the city. The project has a target completion date in spring 2018. "Opportunity Portal" by Don Lawler & Meg White. Photo courtesy Meg White. Bike Sense Louisville is a public art project designed by Todd C. Smith. By providing sensor units to 100 Louisville cyclists (Citizen Cyclist Volunteers), data will be translated into helpful maps online as well as drive a public sound composition on the pedestrian Big Four Bridge. The resulting dataset will be open to the public and used by the city at the project's end to help in developing further improvements in bike infrastructure and planning. 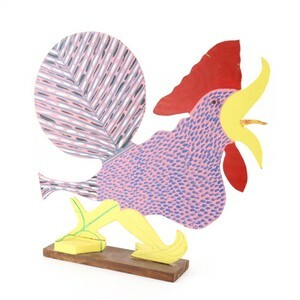 It’s fair to observe that the creation of a Public Art Administrator position and the formulation of COPA represent a renewed focus on arts and culture that accompanied Greg Fisher into office, so given the shifting political landscape that characterize America in the last few years, how long can Louisville expect an arts professional such as Lindgren to have a seat at the public policy table?